Germany head coach, Joachim Loew has named his provisional squad for the World Cup 2018 and he has left out 2014 winners Shkodran Mustafi and Mario Goetze, according to the Independent. 25-year-old, Goetze, famously scored Germany’s 2014 World Cup-winning goal against Argentina but has not made the cut this time. 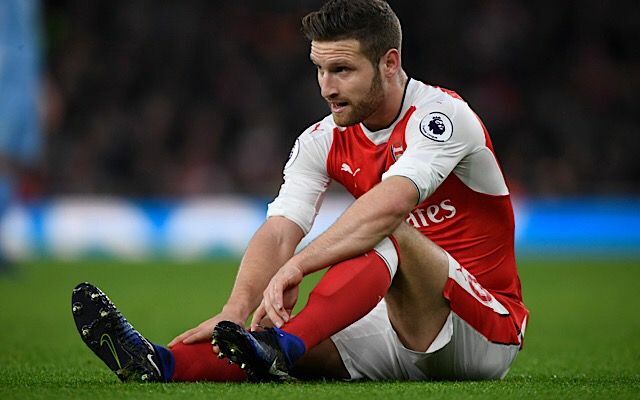 Mustafi has been left out of the squad after an inconsistent season for Arsenal this season. The defender made a number of errors this season, including letting Sergio Aguero run through to score Man City’s opener in the Carabao Cup final. The Gunners conceded 51 times this past season in the Premier League and conceded an average 1.34 goals per match, according to the official Premier League website. There was good news for the holders however, as Germany’s first-choice goalkeeper Manuel Neuer was included, despite having been out of action since September. Neuer has struggled with a fractured foot all season and there were doubts whether he would make the squad, but he completed a whole training session on Tuesday morning as Bayern prepare for Saturday’s DFB Cup final against Eintracht Frankfurt, as reported by the official Bayern Munich website. However, Loew has appeared to erred on the side of caution given he has also included ‘keepers Marc-Andre ter Stegen, Bernd Leno and Kevin Trapp in his squad, according to Goal. Meanwhile, Marco Reus, could finally fulfill his dream of playing in a World Cup after coming back from injury earlier this year. He missed out on the World Cup 2014 and Euro 2016 through injuries. Reus made seven appearances in the Bundesliga and scored four times. Goalkeepers: Manuel Neuer, Marc-André ter Stegen, Bernd Leno, Kevin Trapp. Defenders: Jerome Boateng, Matthias Ginter, Mats Hummels, Antonio Rüdiger, Jonas Hector, Marvin Plattenhardt, Niklas Süle, Joshua Kimmich, Jonathan Tah.